You may have encountered a face like this in your backyard at night, but Violet here has a special job here at Wildlife Safari. Violet, a Virginia Opossum, is one of the park’s ambassador animals. She visits schools and community events with her keepers to help teach people about wildlife. She also helps tell people about her species; that they are more than just creatures that steal from your trash cans! Virginia opossums are the only marsupial in North America. Their gestation period is only 13 days because their young spend the first 3 months of their life in their mother’s pouch, and the next few months clinging to her back wherever she goes! Despite popular belief, opossums are incapable of carrying the rabies virus because their body temperature drops too low when they play dead to sustain the virus. They also help reduce the occurrence of Lyme disease – since ticks are a favorite food of theirs. These little guys will eat about 5,000 ticks in a season, which cuts down your chance of getting one along with any disease they carry! Violet was found an orphan at Wildlife Safari and hand-raised by keepers. When she was found she could fit easily in the palm of your hand, but she soon grew up into an active and very agile little girl! “She’s very comfortable around humans and loves to use them as her own personal jungle gym,” says Education Intern Sarah Cutting, who works with Violet everyday. Because her daytime eyesight is fairly poor, violet mostly explores her environment with her nose, and her mouth! “Violet enjoys any kind of taste enrichment, from new sorts of bugs to munch on to the occasional tropical fruit, as well as rubber kongs” says Sarah. 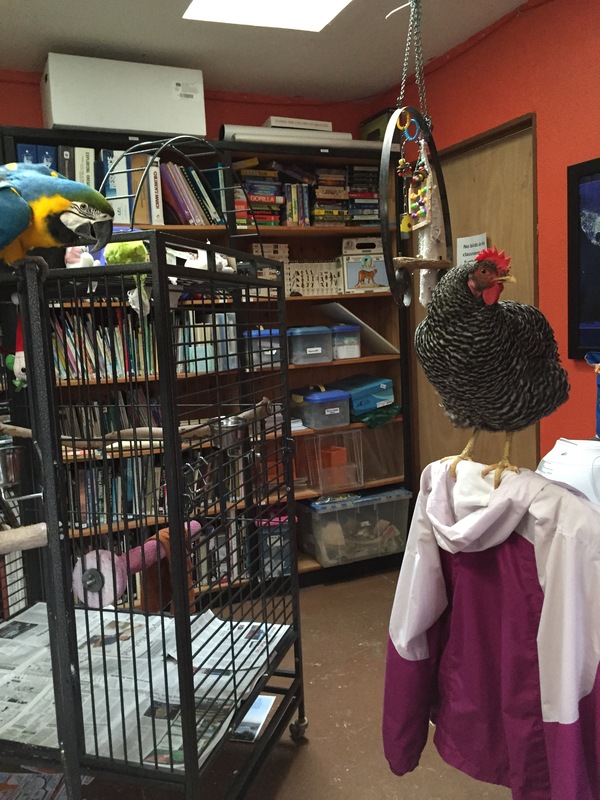 Meet Huckleberry, Wildlife Safari’s ambassador chicken. 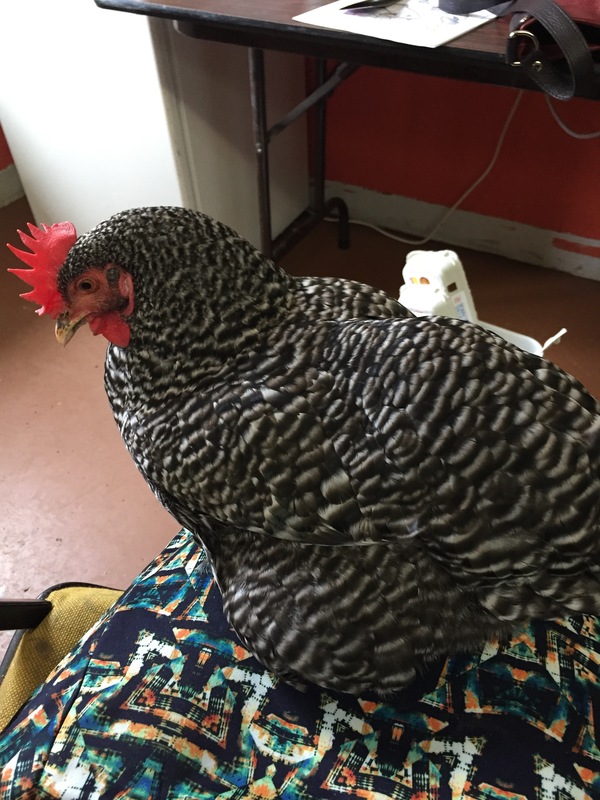 Although chickens are far from endangered, they are a common farm or even household pet and Huckleberry helps teach people about their behavior, care, and their place in ecological systems. 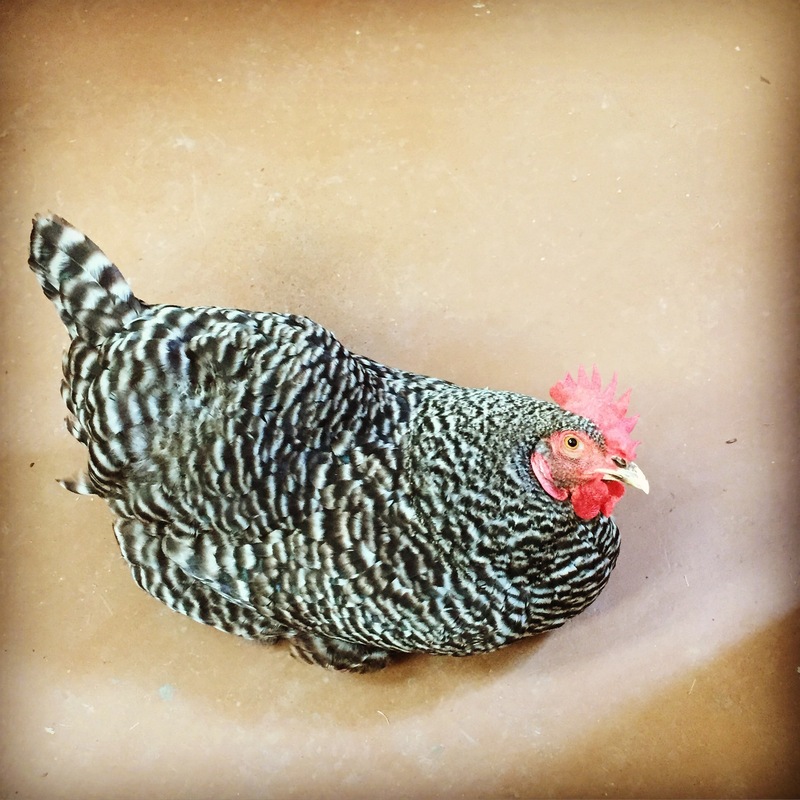 Chickens eat fruits, vegetables and a variety of insects that they find in the soil using their typical behavior of “scratching” where they dig up the ground with their feet. Most people think birds are pretty silly, but many species are actually quite intelligent, and can be trained very effectively. Huckleberry can understand and react to several commands, including target (she pecks the end of her target stick) and station (she goes to stand on her little platform). Interrupting a conference between Huckleberry and Bell, the Blue and Gold Macaw. Since she is so well behaved and can be easily recalled, Huckleberry gets to wander around outside or inside for most of the day. When she needs to be brought in, her keepers simply call her name (which she will come to) and ask her to go inside (she runs along into the Education building), or even ask her to go home – with that command she will run all the way inside and into her house awaiting her treat and for her keepers to shut her door. 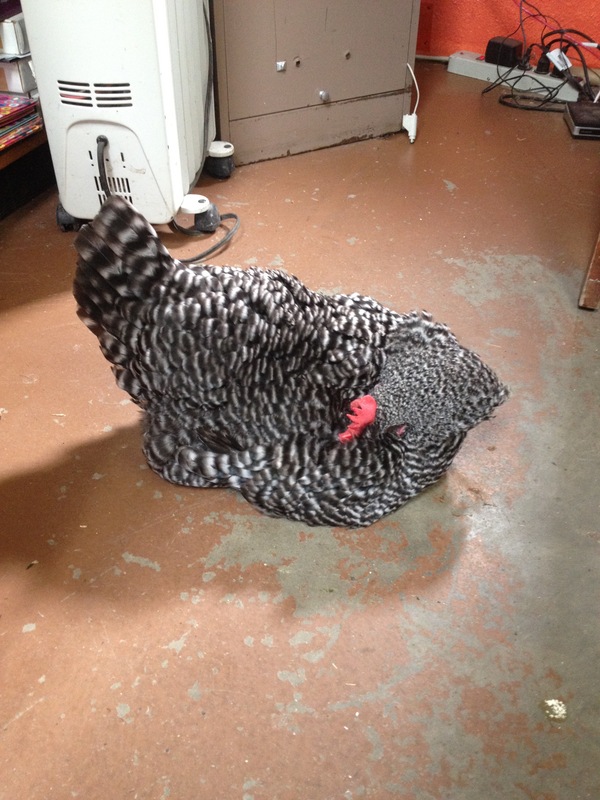 When inside she likes to nap near her keepers while they do office work, or undertake the never-ending job of preening her feathers to ensure she stays clean and beautiful! Coco and Swiper are domestic ferrets that live in the Education Department of Wildlife Safari. They spend their days meeting people of all ages as our animal ambassadors! Many people are familiar with ferrets as pets, but not many know that here is the US we have a native ferret species: the black-footed ferret. Once common across most of the United States, black-footed ferrets are now endangered, mostly due to loss of prey (and predation) from feral cats. Cats will hunt the same foods that ferrets are hoping to catch, and will also actually catch a ferret if they can. While they are not black-footed ferrets, Coco and Swiper still do a pretty good job of teaching people about what ferrets are like; what they eat, when they sleep, and the things they do all day (hint: mostly sleep). 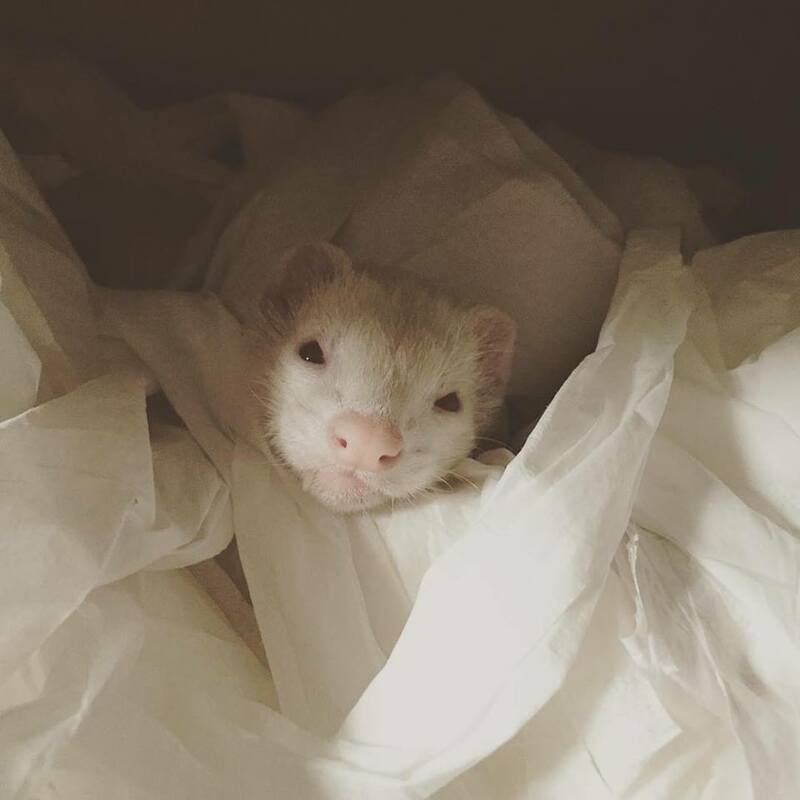 Swiper loves to find new snuggle spots, here he has found some toilet paper for craft. Ferrets are obligate carnivores, which means they ONLY eat meat. They are extremely flexible, which allows them to move through holes and burrows in search for mice or other small animals. They are crepuscular, a kind of nocturnal, which means they hunt in the early morning and evening. The rest of the time they sleep. 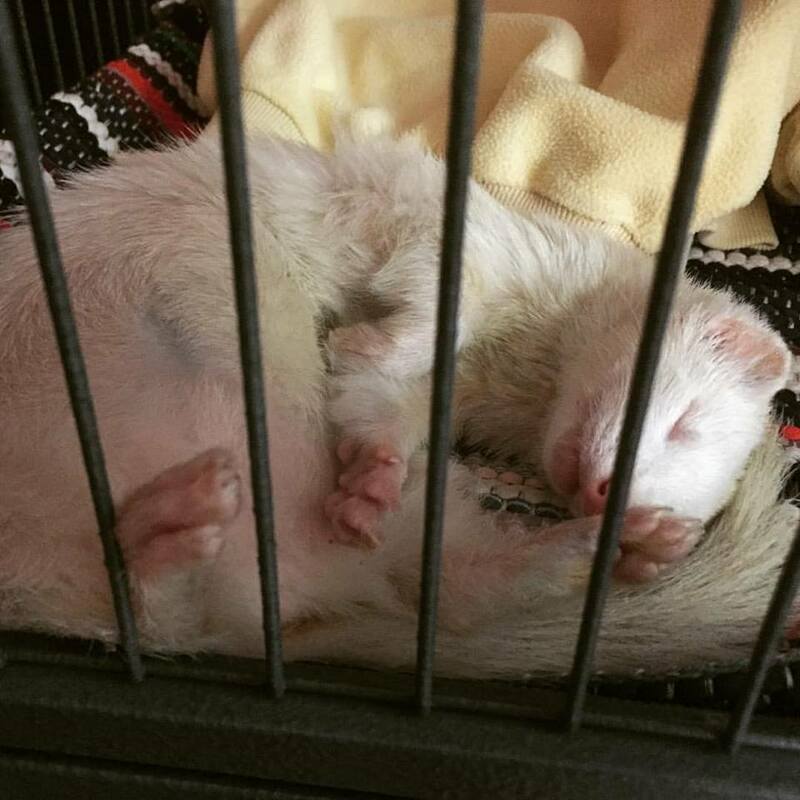 For ferrets, nap time takes up around 19 hours of the day. The reputation they have for their characteristic smell comes from their musk gland, which they use both for marking territories and to tell each other apart. Their smell acts sort of like a name tag, and through this they can tell who is who, and even who is family. That’s a lot to tell from just a smell! At 7.5 ft long, 21 lbs and 20 years old, Madrone, the mild mannered red-tail boa, is a majestic figure. As one of Wildlife Safari’s ambassador animals, Madrone goes out with his keepers into the community to teach people of all ages about the importance of conservation. Red-tail boas are native to South America, and get their name from the red pigment on their underbelly. They are constrictors; which means they are non-venomous, relying instead on their strength to slowly squeeze their prey until they go into circulatory arrest. As they are non-venomous they have no need for the long fangs that would inject venom into prey. Instead, they have small, rear facing teeth to grab and hold their prey while they constrict. Red tails are tree dwellers, using their patterns to camouflage against bark and leaves. Their diet includes small mammals, birds and amphibians that cross their paths. As nocturnal sit and wait predators, red tail boas wait in the shadows for their prey to approach before they strike. Capable of growing up to 12 ft long, there are not many predators willing to take on an adult Red-tail boa. Their main threat comes from people. The exotic pet trade removes these beautiful snakes from their natural habitat and places them in homes that may not be prepared to care for them adequately. With a lifespan of up to 35 years, they are not a small commitment. Madrone, like all our ambassador animals, is used to being around people and is comfortable with meeting groups of all ages. He shows young and old what it is that conservation efforts are trying to protect. Seeing him takes these animals from abstract to very real. His charms have also changed many minds when it comes to preconceived notions regarding snakes. Our hope is that when people meet Madrone, they will see him as we do; a life worth protecting and a species worth conserving.